Adults and kids often have different ideas about what autumn outings should entail. Maybe the adults in the family want to see the changing colors of the leaves, while the kids just want to jump in big piles of them. When it comes to fall foliage, there are several strategies you can try for meeting in the middle. If you choose your destination wisely and have a game plan, both parents and kids can enjoy the day. Think beyond just pretty trees. Pair your adventure with picking a pumpkin, pressing apple cider, or going on a hay ride. Find a harvest festival or corn maze or another cool event that just happens to require a drive through colorful foliage areas. Everybody wins! Here are five ideas to get you started. Brookfield Orchards, in North Brookfield, is a delightful and somewhat old-fashioned place to pick apples, and the drive there is quite scenic. Operating since 1918, the fifth generation of the same family is now in charge. The farm has more than a dozen varieties of apples to pick, a playground, a snack bar (don’t miss the homemade apple dumplings!) and a large country store. On fall weekends, there are hay rides and other activities. Take a trip to the charming town of Jackson in the White Mountains to check out a local tradition, the Pumpkin People, now in its 28th year. Businesses and homeowners display their pumpkin creations throughout the village to vie for bragging rights. Maps are provided at participating stores in town so you can take a self-guided tour. 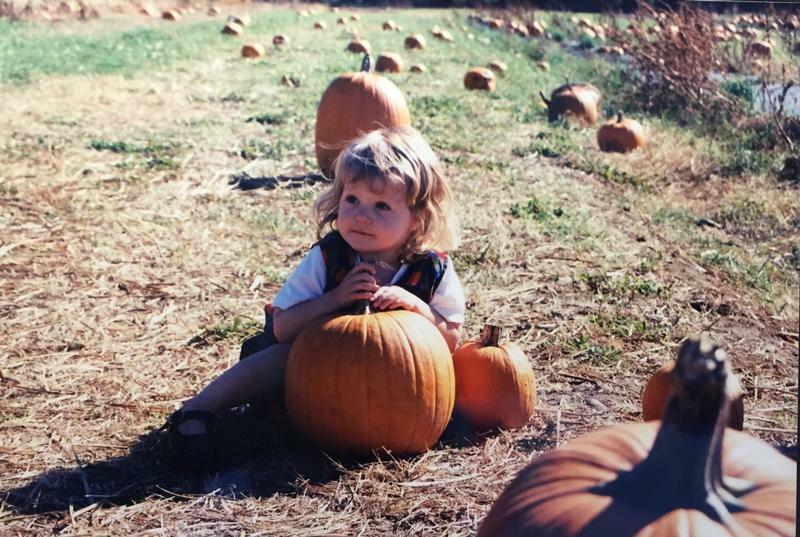 Every weekend day in October at the historic, family-owned Patchet Brook Tree Farm in Tiverton, you can go on a 30-minute hayride and pumpkin hunt. Look for scarecrows and other family-friendly Halloween decorations and surprises as you go through the woods and fields of the farm. At the end of the ride, you'll end up in a pumpkin patch, where everyone gets a pumpkin. The historic Billings Farm & Museum in Woodstock holds a series of fall events through the month of October, culminating in an early family Halloween celebration on October 25 with donuts-on-a-string (a variation of bobbing for apples, where kids instead can attempt to get donuts hanging from a tree), pumpkin carving, Halloween tales, wagon rides, and lots more. The working dairy farm, opened in 1871, also has farm life exhibits, a restored and furnished farmhouse, plus year-round programs and activities. A ride aboard the Pumpkin Patch Trolley at the Connecticut Trolley Museum in East Windsor is a family tradition for many. Take a ride on an authentic trolley to see the pumpkins and enjoy the foliage en route, pick your pumpkin, and return for decorating and games. The special event runs Fridays through Sundays in October. These websites have maps detailing where to find the best colors each week.